After spending 38 days in the hospital in post-surgery recovery, Nick Gilbert, son of Cleveland Cavaliers owner Dan Gilbert, was deemed well enough to return home on Monday, according to a report from Joe Vardon of Cleveland.com. Dan shared the good news with his followers on Twitter in an appreciative message. “No words strong enough to thank Dr. Ian Lee & Dr. Steve Kalkanis along with the entire Henry Ford Hospital’s leading-edge neurosurgeon team whose innovative approaches are winning the fight vs brain tumors including my son Nick, who after 38 days came home today!” Gilbert wrote in his tweet. As most fans of the team know, Nick was born with neurofibromatosis, which is a nerve disorder that causes tumors to grow anywhere in the body, including the brain, spinal cord, or nerves. There is no known prevention or cure, however, surgery can be performed to remove tumors that have become problematic or cancerous. February was at least his second brain surgery to treat a tumor, according to Vardon. After his surgery in February, Nick’s first question was to ask if the Cavs had beaten the Oklahoma City Thunder. To his delight, they did. 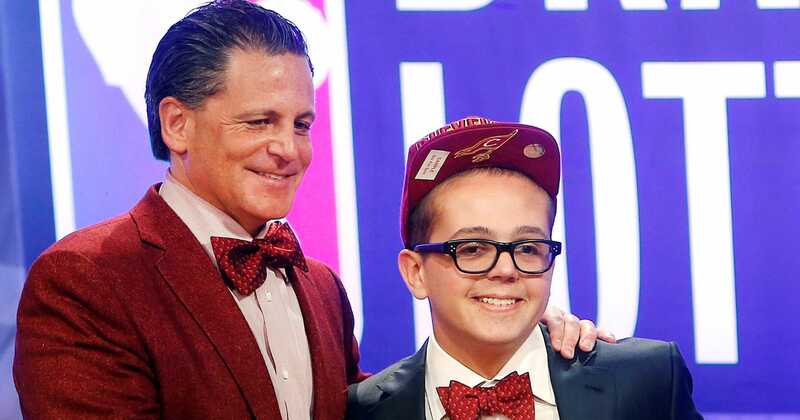 Serving as an honorary representative, Nick became a bit of a good luck charm for the Cavs during the 2011 NBA Draft Lottery, where his snazzy bowtie may or may not have aided the franchise in being awarded the No. 1 overall pick. Nick, now 21 years of age, will still have challenges ahead of him, but this is certainly good news, and there is no doubting his fight. Let’s continue to keep the Gilbert family in our thoughts and prayers going forward.